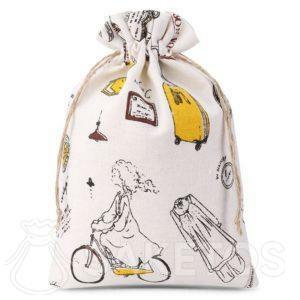 Linen pouches in the kicthen – meny ways to use at your home! Linen bags in the kitchen? Yes! The method of storing herbs is very important – thanks to the proper sealing of the herbs, they can retain their aroma and properties after a long time. This is extremely important when flavouring meals with herbs. If you take additionally care about the effective appearance of the interior you can use linen bags to decorate the kitchen. Flaxen pouches with a strong cord are a great way to keep herbs in the proper condition. This type of solution is very practical because it includes convenient opening and closing of the pouch. You can open the bag in the blink of an eye and close it, so that the aroma of herbs is not released. All herbs sealed within our decorative pouches will keep a natural, excellent fragrance for a long time. If they are not placed in the cabinet, but outside the furniture, the aroma will spread around the kitchen. Linen bags can be bought in many sizes and imprint patterns. Small flowers, a sailing motif and many more can be perfectly combined with the interior design that prevails in a particular kitchen. A big advantage of this type of accessory is the fabric from which it is sawn. Linen also called as flax can be washed without any problems, so our bags can be re-used many times! How to use flaxen pouches? 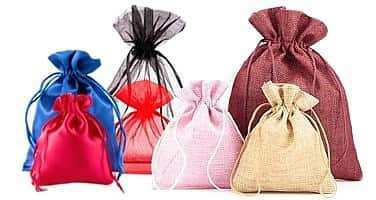 The upside is the fact that linen drawstring bags can also be used for other purposes. Soap, cosmetics and even jewellery will be kept in a good condition. They can also be used as aroma pouches in the bathroom or closet. 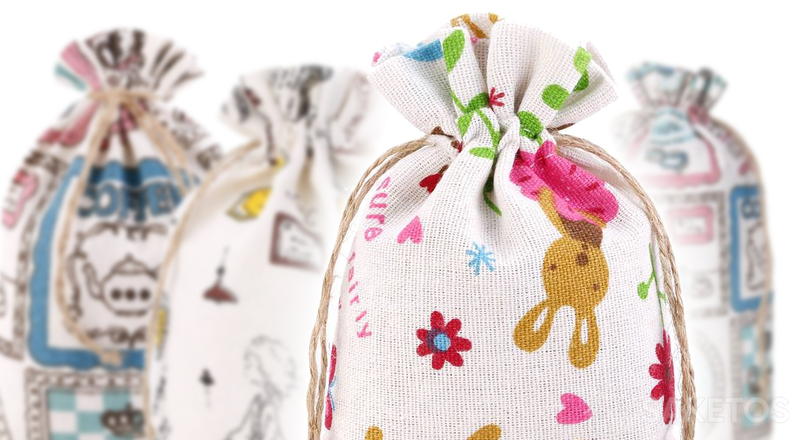 Flour, flower petals, dried mushrooms or fruits can also be stored in our universal pouches. Flax protects all natural products against mould! That is why, linen is the recommended material for the kitchen. 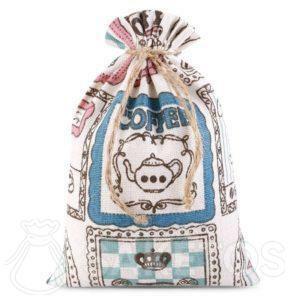 The use of linen pouches is very fashionable and fits with current trends. They are above all very durable! Flaxen bags will not be damaged even during washing. Linen as one of the most durable materials looks very attractive. In addition, you can choose from a variety of prints, so you will surely find something that will bring your attention. Linen pouches are quite cheap, and you can use them for many purposes. Our bags can be used many times because they are reusable! It is worth to try something new and practical, which at the same time will be a kind of a return to the past years. Thanks to this, you can keep freshness of herbs for a very long time!